Presented by: Harbor Research, Inc.
• Glen Allmendinger, President - Harbor Research, Inc. 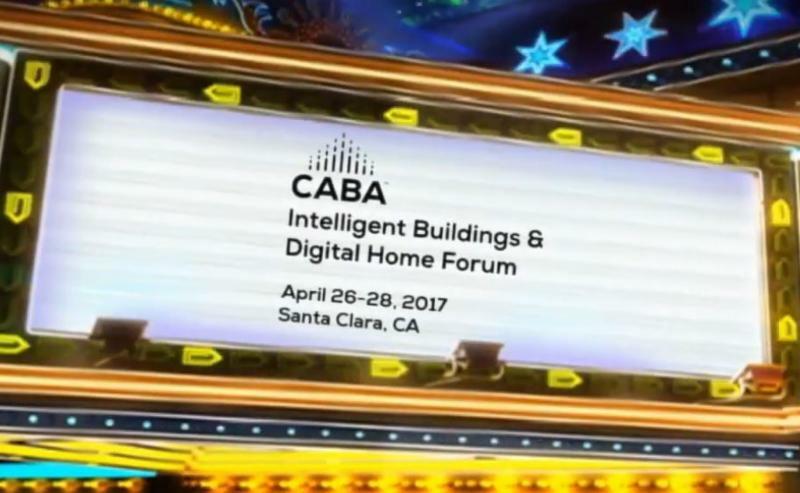 The 22 CABA Board of Directors will be meet to discuss and strategize for the future of CABA and the Connected Home and Intelligent Buildings sectors. Keynote Session: Building Powered by Internet of Things (IoT) - Beyond Just Energy Management? After a busy day of listening and meeting the many presenters, relax and enjoy the ambience of the Opening CABA Forum Reception and Exhibit Hall. Delegates will be bused to the Biltmore Hotel & Suites after the last session at Intel Corporation. During the reception, meet the sponsors, exhibitors and other delegates while enjoying music, refreshments and food. Privately arranged with other delegates, customers and business associates in the 'Heart of Silicon Valley'. 9:50am Intelligent Buildings Track: Building Controls and Energy - Reduce and Produce! • Chris Allen - iDevices, Inc.
• Glen Allmendinger - Habour Research, Inc.
• Brian Casey, GM SBM Solutions - Honeywell International Inc.
12:00pm Intelligent Buildings Track: Smart Campus Design and Technologies: What Can We Learn from the Case Studies? • Obiorah Ike - ABB, Inc.
• Brook Potter - Autodesk, Inc.
• Debra Becker - Honeywell International, Inc.
• David Brenner (Intel Corporation) - Open Connectivity Foundation, Inc.
• Jane Peters - Research Into Action, Inc.
4:30pm Intelligent Buildings Track: What's Deterring Intelligent Buildings - Listen to the People on the Inside! • Michael Groppi - CBRE, Inc. Connected Home Track: Qualified Professionals for the Home and Building Automation Industry: How Can Educational Providers Help? • Helen Heneveld - Bedrock Learning, Inc.
5:40pm Intelligent Buildings Track: Cybersecurity - Clouds and Fog! • Marc Petock - Lynxspring Inc.
• Ric Johnson - Right at Home Technologies, Ltd.
During this Grand Evening Reception, it will be a final opportunity to meet many of the exhibitors and sponsors. Delegates will not only be able to network while enjoying music, refreshments and food. Plus there is always the opportunity to network with delegates, sponsors, exhibitors and make new friends. CABA will arrange 'Birds of a Feather' dinners at some of the best restaurants in Silicon Valley. Delegates have the option of attending a "Cigar bar with whiskey tasting" or can arrange private dinners with customers and business associates in beautiful Santa Clara!